HEY, OASIS! I'M LONGER THAN YOU! 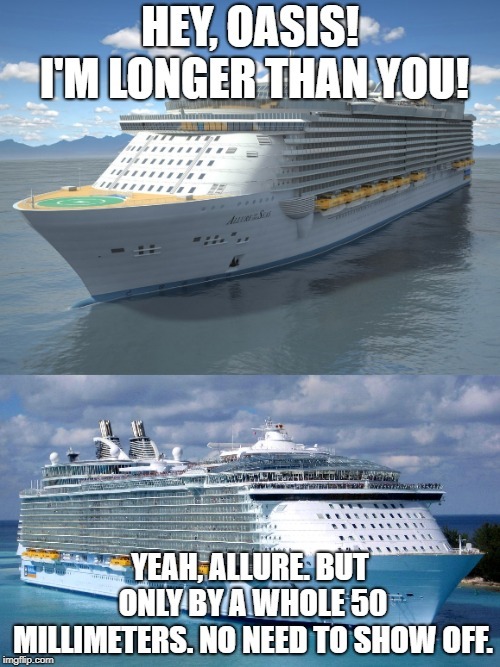 YEAH, ALLURE. BUT ONLY BY A WHOLE 50 MILLIMETERS. NO NEED TO SHOW OFF.